Newcastle deserves its place on this list of the best cities to visit in Australia. Australia’s biggest cities (Melbourne and Sydney) get a lot of attention from travellers. While they’re both great places to visit in their own right, there are stacks of other regional cities around the countries that often don’t quite get the kudos they deserve. So, let’s make an effort to rectify this situation! Here are 10 of the best cities to visit in Australia, courtesy of travel experts. We’ve got you covered for every state (unfortunately not the territories, although NT has Palmerstone and ACT is essentially just the Australian capital of Canberra). Here are some of the best cities in Australia to visit, apart from the capitals. The beautiful buildings of Bendigo. Bendigo is a Victorian regional city with an interesting past and many attractions. It has a population of over 100,000 people so there are plenty of shops, restaurants and services but the more interesting part is Bendigo’s gold rush past. Gold was discovered here in the 1850s which brought in migrants from around the world. Within only a year, it transformed from a quiet sheep station to a major settlement. You can learn about this history during your visit by visiting the Central Deborah Gold Mine or going on the Talking Tram. Bendigo is also known for its architectural heritage. The centre of the city is pretty with many late Victorian colonial style buildings. There are big parks, a lake and other attractions like the Golden Dragon Museum about the history of the Chinese people who came to Bendigo during the gold rush. 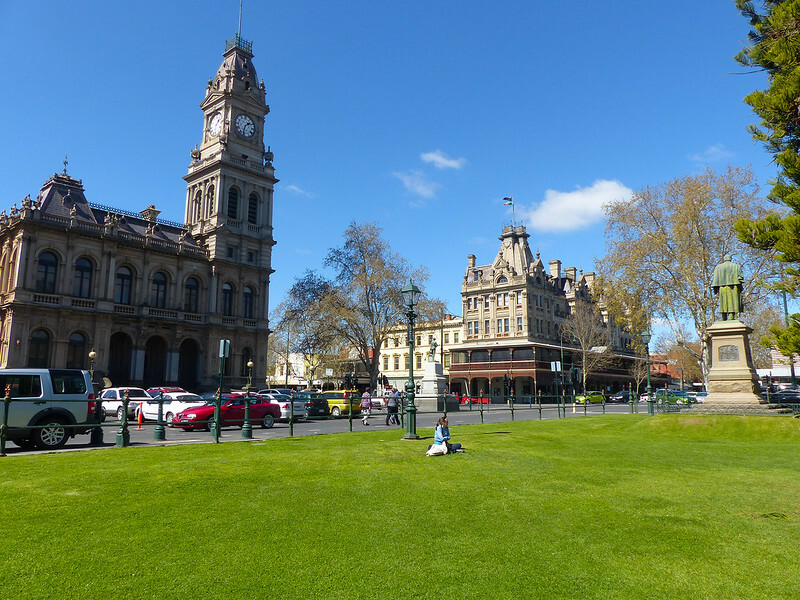 Bendigo is an easy city to visit just a couple of hours from Melbourne and located in the centre of Victoria. It is well hooked up by rail and buses. Thanks to Melbourne Family for the submission. Cruising the Murray River in Mildura. Mildura is found in north-west Victoria on the banks of the mighty Murray River, around 6 hours drive from Melbourne. It is a large rural town with a semi-arid climate that experiences hot summers and cool winters. We found autumn to be a fantastic time to visit and discovered that this township boasts a range of cafes, restaurants and accommodation choices for every budget. There are many things to do in Mildura and its surrounds that will keep you busy. 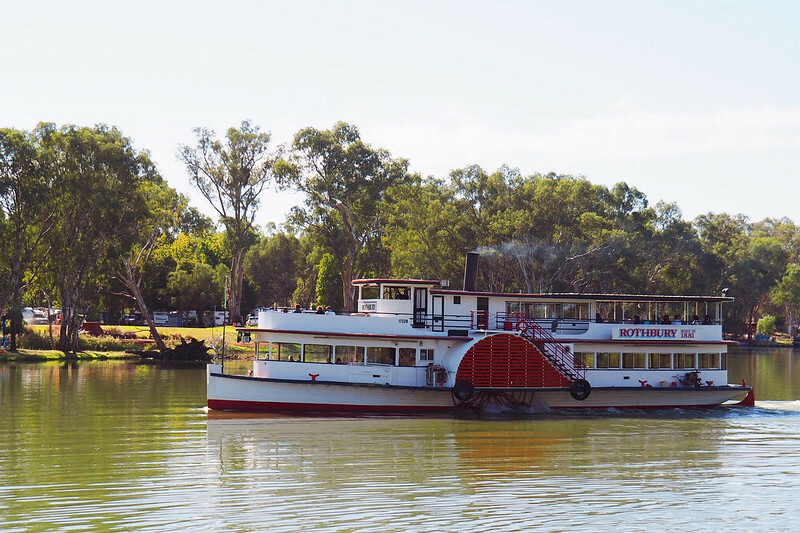 Of course, the Murray River takes centre stage and offers you the opportunity to experience the Lock 11 and Mildura Weir upon a Paddlesteamer which historically brought inland Australia to life before the rise of the steam train. Next on the list is Orange World where you can learn why Mildura is a notable horticultural centre and its citrus history. The Australian Inland Botanic Garden and the Holden Museum are interesting spots to visit too. Here are some other things to do in Mildura with kids. Outside Mildura, make time to visit Mungo National Park – a World Heritage site and the very place where Mungo Man was discovered, the oldest human remains outside Africa; the Perry Sandhills which has an ancient history with megafauna often uncovered on site; and the old Wentworth Gaol. Mildura is open to Stefanos restaurant, made popular by the late 90s TV show Gondola on the Murray which for many, is reason enough to travel to the town. We also recommend the Brewery for a more relaxed, yet yummy spot to eat. If Mildura is on your radar for a visit, we recommend the Quest Mildura Apartments as a good accommodation choice and think at least two days is needed to get a taste of the township. Thanks to Kid Bucket List for contributing. The Geelong Waterfront. Preeeeetty nice. 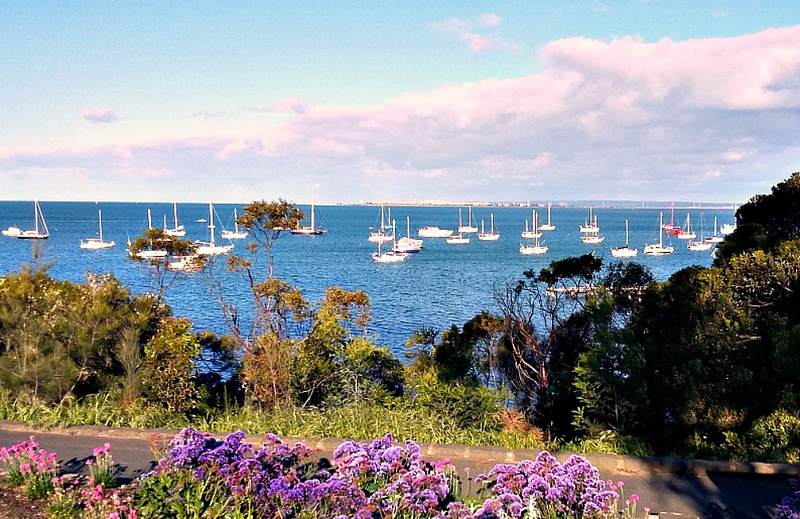 Melbourne’s neighbouring city, Geelong, was once a blue-collar industrial town that tourists raced through on their way to the Great Ocean Road. But, not anymore! G-Town, as the locals call it, has undergone a revamp in recent years and now ranks as one of Victoria’s trendier up-and-coming cities. And it’s no wonder with its, cool cafés, amazing restaurants and boutique bars and pubs you’ll find set inside old industrial sites. Combined with its amazing coastal location it has everything the discerning traveller needs. From wineries and breweries to contemporary galleries, cultural festivals, and hip shopping strips Geelong has got it all. But it’s the magnificent Geelong Waterfront that most visitors come to see. Day trippers and weekenders alike spend hours strolling along the art deco promenade, swimming at Eastern Beach and picnicking on the rolling green hills. But the little ones love to ride the toy train and 19th century carousel. And search for treasures at the Poppy Kettle playground. Geelong is famous for its Bollards Trail, a series of over one hundred painted and carved bollards that depict the history of the city. And no visitor to Geelong can leave without having their picture taken with one. A hidden treasure that locals love but tourists often miss are the beautiful Geelong Botanic Gardens. Take a walk amongst ancient trees and gorgeous flowers. Then relax on the lawns in peaceful surroundings as you enjoy a coffee and cake from the delightful historic tea house. Looking out over Nobbys Beach in Newcastle. 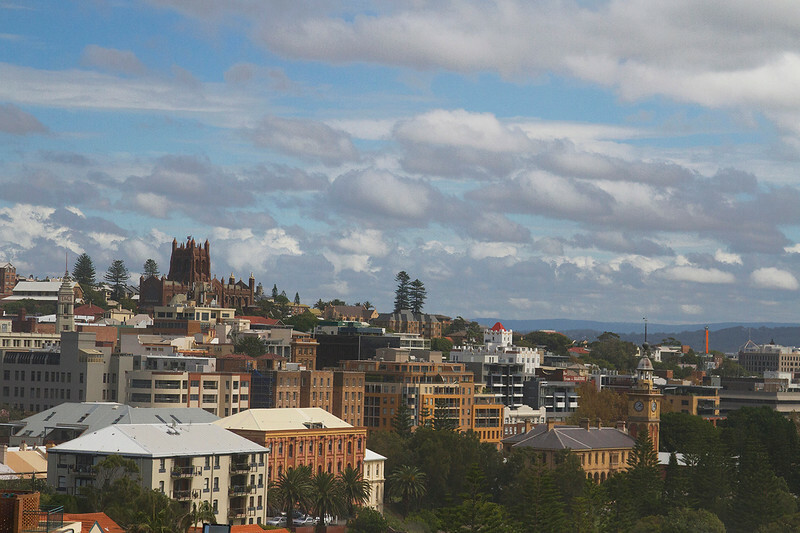 Newcastle is the second biggest city in New South Wales and the second oldest in Australia. 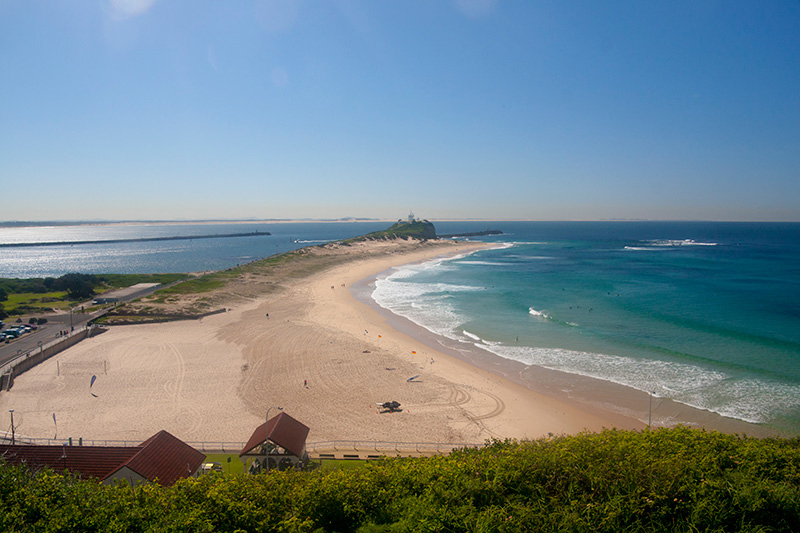 The main reason to visit Newcastle is that it has some of some of the best beaches and coastline in the state of NSW, with lots more right on the doorstep. Newcastle has some great surfing beaches, especially Nobbys, Newcastle and Merewether – the latter two are also home to some wonderful Ocean Baths. The coastline is also pretty special once you pass beyond the city limits into neighbouring Lake Macquarie, especially massive Redhead beach, nine miles of glorious golden Pacific sand. It also has some gorgeous 19th century heritage buildings, including around Fort Scratchley, a great viewpoint overlooking Nobbys beach, complete with underground tunnels. You also get a great view from there across to the vast expanse of Stockton beach and sand dunes, which stretch over 30 km to Port Stephens. There are some great places to eat and drink around Merewether beach, but the main concentration of bars and restaurants in Newcastle is on Darby Street in the suburb of Cooks Hill, a short walk from the beaches and the centre. Here are some things to do in Newcastle for kids. Thanks to Travel With Little One for the submission. The beautiful Blue Mountains are a drive or train ride out of Sydney. 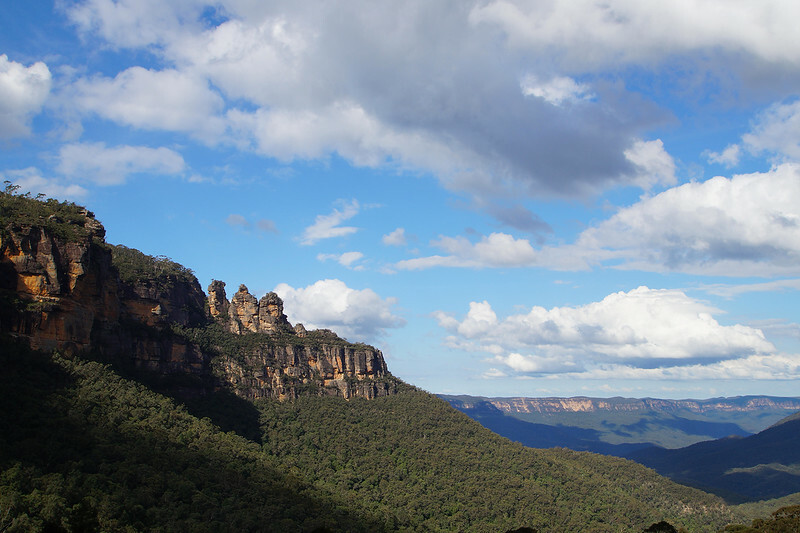 Did you know that it only takes a short drive out of Sydney and you’ll end up in the picturesque Blue Mountains? An area, that is so beautiful, it could be the setting for a proper fairy-tale. With tree-lined, cobblestoned streets and small houses with steam coming out of their chimneys, this region is anything but a mass-tourist escape. If you are heading here with your kids, make sure to spend enough time in the Scenic World. 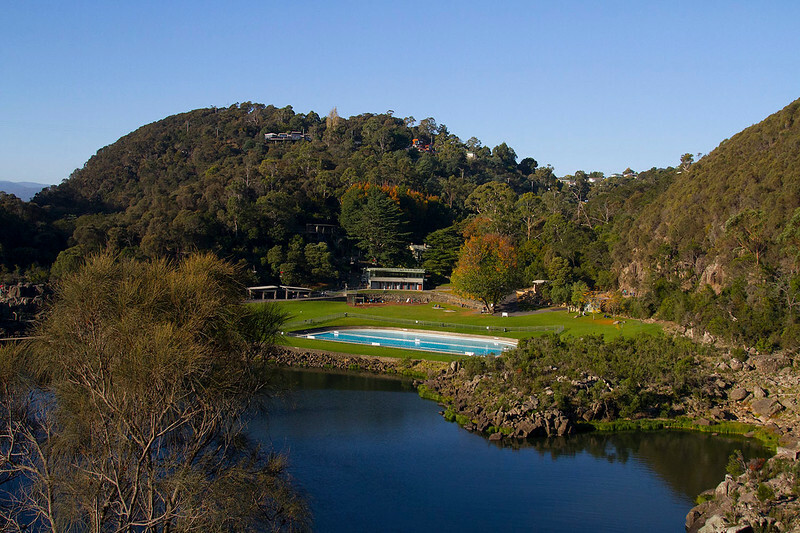 This complex offers various ways of indulging the beauty of the Blue Mountains and having fun at the same time. Let your kids choose between taking the Skyway, the Walkway, the Cableway or the Railway. More of a nature lover? Well then head into the bush and enjoy one of the family friendly bushwalks that will take you to waterfalls, through the forest and will get you really close to Australian wildlife. Thanks to Travellers Archive for the contribution! Editor’s Note: It’s pretty easy to visit the Blue Mountains from Sydney and you can see a lot in one day. I highly recommend spending some time in this gorgeous part of NSW. Broken Hill (aka Silver City) is a mining town located in the Outback New South Wales, Australia. If exploring the mysteries and uniqueness of a mining town is your thing, this is the perfect spot. Also this is the historic place where the mining giant BHP was formed. The iconic pile of slag heap is the first sight if you are driving down from Sydney. The red dust, dry weather, small but wonderful art galleries and curious street names (named after elements in the Periodic Table!) are few of the unique characteristics of this town. Home to quite a few unique attractions, below are few which you can visit. Line of lode Memorial is the memorial built in the memory of those who lost their lives while working in the mines. Living desert & sculptures is located 9KM from Broken Hill and has 12 iconic sand stone sculpture installations done by international artists. Silverton, a small township located 25 KM away from Broken Hill lives and breathes the past glory of a mining town. Mad Max Museum is a quirky attraction which is set up with the collectibles from the movie Mad Max. A trip to Broken Hill is not complete without visiting a mine and taking a tour. Day Dream Mine is a good one which you can choose to visit. Thanks to Why You Wander for contributing! Gladstone has plenty of water-based activities on offer. Gladstone, Queensland is a proper hidden gem on the East coast of Australia. Halfway between Brisbane and Townsville, this is a great place to stop on a road trip and spend some time exploring. We also spent a lot of time at East Shores Park which has been recently developed. There’s a water splash park and playground for kids and it’s also a great spot for going on a leisurely stroll. You can even spot dolphins around the harbour if you’re lucky! Gladstone is close to lots of beautiful beaches and also the bottom part of the Great Barrier Reef. Great Keppel Island, Heron Island and 1770 are all close enough to make a day trip from Gladstone. You can spend some time on the beautiful beaches there or book a dive to see the Reef up close. Bundaberg is just a little bit pretty. Whilst Bundaberg is not usually on most people’s to do list when visiting Queensland – if you like quiet little beach cities with amazingly friendly people than it should be! Bundaberg is located 4.5 hours drive north of Brisbane and is famous for a few things – Bundaberg Rum, the Mon Repos turtles and being the start of the southern end of the Great Barrier Reef. Visit Bundaberg during the turtle season which is from November to March if you can, as you will have the opportunity to witness Loggerhead turtles come to the beach and lay their eggs as well as see the baby turtles hatch and scamper down to the ocean. The area of Mon Repos is in fact the largest Loggerhead turtle conversation rookery in the southern hemisphere! I also recommend you take a trip out see the Great Barrier Reef. The best way is to take a day trip to Lady Musgrave Island. Here as well as getting up close and personal with the reef, you will get the opportunity to see fish, turtles, dolphins and manta rays. Bundaberg also has some stunning beaches, the most popular being Bargara Beach and the stunning Elliot Heads. Bargara has plenty of accommodation and cafes, so is the ideal spot to base yourself. Elliott Heads is a little isolated though with no accommodation or shops, so best for a day trip. 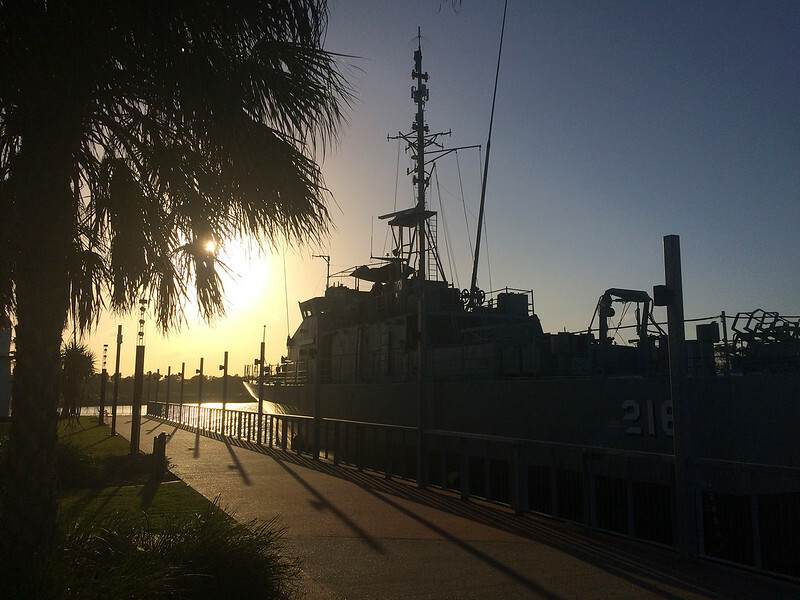 Here are some other things to do in Bundaberg, if you’d like some more ideas. Cheers to Thrifty Family Travels for their contribution! Explore natural history in Mount Gambier. In ancient times, the Mount Gambier area was dotted with volcanoes, and many of the current attractions revolve around the remaining limestone structures. Simply hiking around the area will reveal many unusual features. Most well known is the Blue Lake. Situated in an old volcanic crater, the lake mysteriously changes to a cobalt blue colour from November to March. There are also many caves and sinkholes in the area. 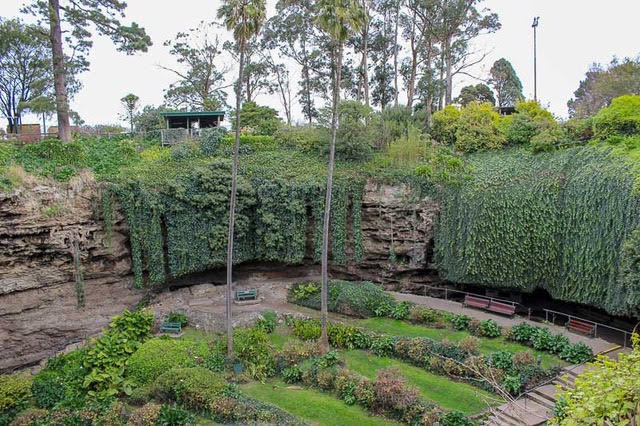 Some, such as Umpherston Sinkhole, have been turned into beautiful public spaces. Make sure you visit at dusk to see the native possums come out to feed. While not on the coast, it is only a short drive to the nearest pristine beach, for swimming, fishing and other water sports in summer, and to admire the might of the Southern Ocean in winter. A new attraction in town are ghost mushrooms. These glow-in-the-dark mushrooms grow in the surrounding pine forests in May and June each year and are yet another reminder of how amazing nature is. If museums are your thing, there is a good war memorabilia collection at the Mount Gambier RSL and the Riddoch Art Museum is worth a few minutes too. The Lady Nelson Visitor & Discovery Centre will give you a brief history of the area and help you out will all you want to know about the town. Mount Gambier in South Australia is almost midway between Melbourne and Adelaide. A day or two here makes for a perfect stop to break up the Great Ocean Road drive between the two. Interested in finding out more? Here are some other Things to do in Mount Gambier. Thanks to Josie Wanders for this contribution. Port Lincoln is the home to Australia’s largest commercial fishing fleet and is located on the beautiful pristine waters surrounding Eyre Peninsula’s east coast in South Australia. It lies on Boston Bay, one of the largest protected natural harbours in the world that is three times the size of Sydney Harbour. It is the ‘Seafood Capital” of Australia and there are many ways to have a seafood experience ranging from dining at one of the many fine seafood restaurants in town; to getting up close and personal to Tuna in one of the Tuna ponds; to a tour through a seafood processing factory with a seafood tasting at the end of the tour. For the adventurous, you can go Shark cage diving and come face to face with the ocean’s ultimate predator – The Great White Shark. For a more sedate adventure you can swim with the Sea Lions on a half day cruise with one of the charter operators. You can also get aboard a fishing charter and try your hand at catching your own fish. 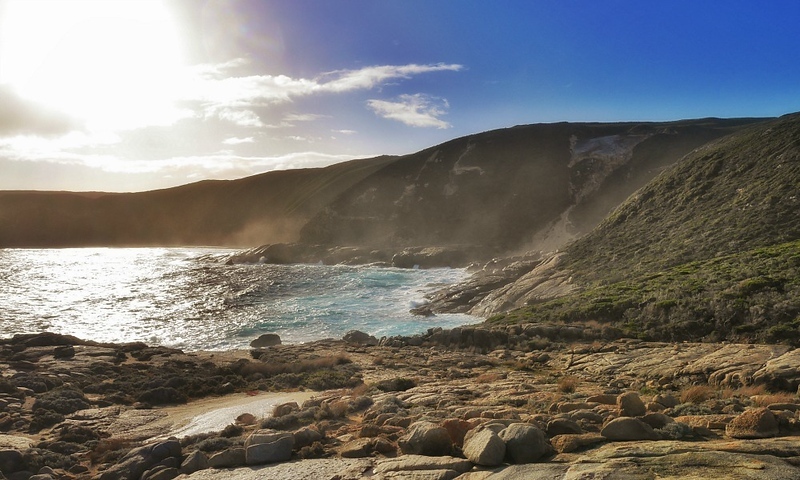 Otherwise take a day trip out to Lincoln National Park on the rugged Jussieu Peninsula with spectacular ocean views and sandy beaches to explore. Or discover the ruggedly beautiful coastal scenery at Whaler’s Way, a wonderland of cliffs, blowholes, crevasses, caves and white sandy beaches. Contributed by 50 Shades of Age. As Tasmania’s second city, there is plenty to entice you to visit Launceston. The biggest attraction of Launceston, and we don’t just mean in terms of mass, is Cataract Gorge; an outstanding nature reserve that’s just a stone’s throw from the city centre. Here, you’ll find miles of walking trails and some pretty epic views over the gorge itself. The site is also a perfect area for wildlife spotting and there are an abundance of native animals that call this place home. You might want to look out for the claimed-extinct Tasmania tiger, some say it still exists somewhere in the wilderness and this might just be the spot. Other top attractions include the Queen Victoria Museum and Art Gallery which is free to visit, City Park which is an ideal picnic spot and even has capuchin monkeys and the James Boag’s historic brewery. There’s plenty to do in Launceston. The city also has many quaint cobbled streets and little squares to get lost in with plenty of historic architecture and even a windmill on the hill. Plus, if you feel like escaping the city for a bit, Launceston is the perfect base for trips out to surrounding “must sees” of Tasmania such as the Tamar Island Wetlands, Wineglass Bay or Cradle Mountain. Thanks to The Tinberry Travels for this submission. Albany is Australia at its wildest. Situated on Western Australia’s southern coast, Albany has an abundance to offer visitors in terms of beauty, outdoor adventures, wildlife and fresh produce. With a population of over 30,000 and situated about 4.5 hours south east of the nearest capital Perth, it is the biggest regional city in WA’s south. It serves not only as a shopping and administrative hub for the region but also a popular tourist destination steeped in history. Albany’s settlement dates back to the early 19th century, pre-dating even Perth and Fremantle as WA’s oldest town! It was a colonial outpost of New South Wales, and later became the gateway to the goldfields of the South West with its deep harbour King Georges Sound. Also the final departure point of many troops leaving for World War I, the city has deep ANZAC connections which are commemorated at the National ANZAC Centre. 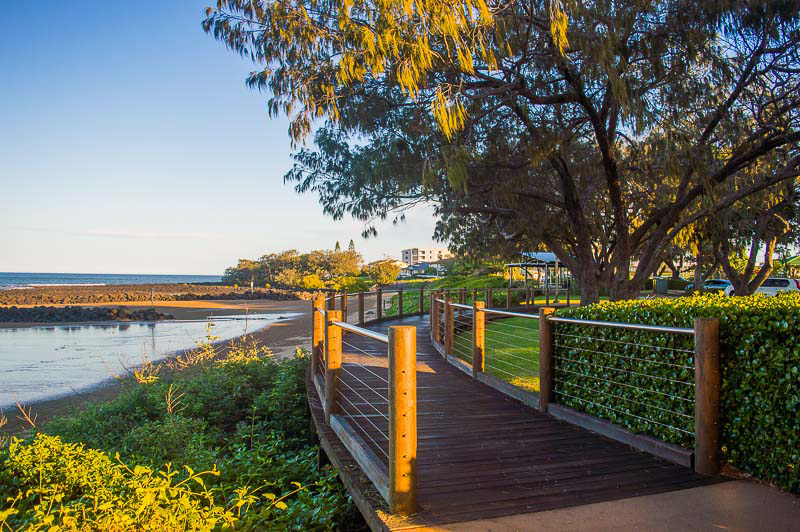 Well renowned for its beaches, you will find the calm harbour waters of Middleton Beach and Emu Point perfect for children. But the real delight is exploring further in to the Torndirrup National Park and the Vancouver Peninsular. Here you will find Whale World (a former whaling station now museum) and Discovery Bay wildlife sanctuary, as well as popular natural wonders the Gap and Natural Bridge and the dramatic blowholes. 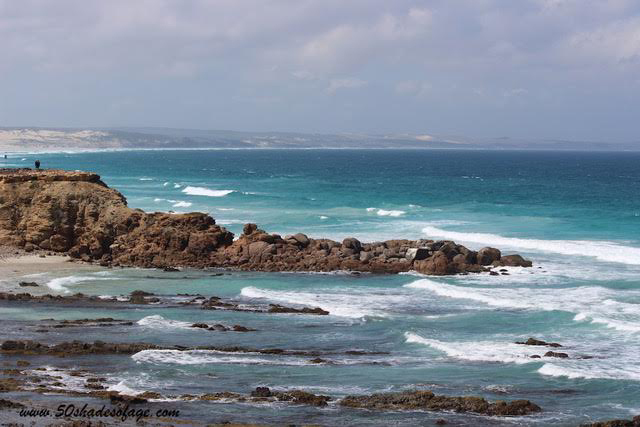 The waters around Albany are regularly frequented by migrating whales from June through to October each year, with whale watching tours offered. If you are lucky you might spot a mother and calf all the way in to Frenchman Bay with great views from Marine Drive. Dolphins and seals can regularly be spotted from the shores too. Albany is the perfect place to base yourself for exploring the surrounding areas. Head north and you will come to the delightful some town of Mount Barker, then the Porongurups and the Stirling Ranges, popular with hikers. To the east you will find Two Peoples Nature reserve with one of our all time favourite hidden spots Little Beach. And to the West, Denmark with the stunning William Bay National Park and abundance of wineries to certainly revival nearby Margaret River. Keep heading west and you will come to WA’s famous tall timber forests. Here are some other road trips you can do in Western Australia. Submitted by Our Globe Trotters. 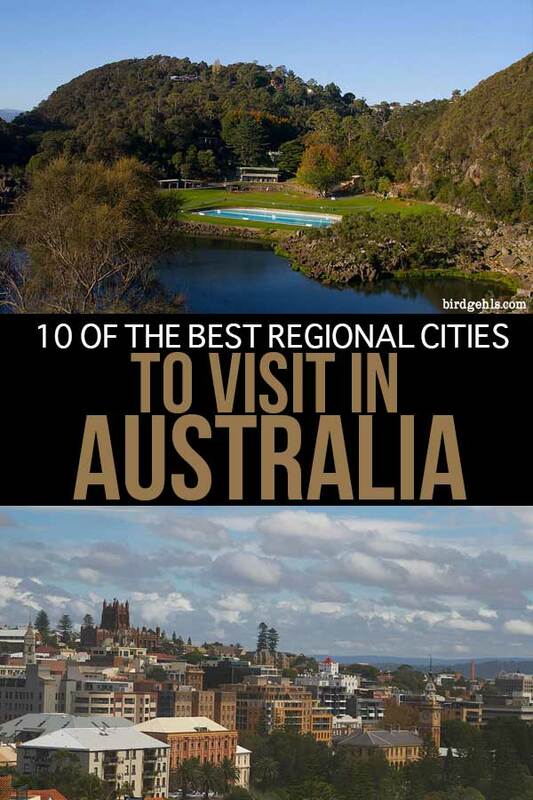 Have you visited any of these Australian cities? Would you like to? Let me know in the comments and please share this to inspire more Australian travel fun times. You can follow Birdgehls on Instagram, Twitter, Facebook and Pinterest for more travel inspiration for Australia and elsewhere. Want to get further off the beaten path? Here are 10 alternative places to visit in New South Wales. 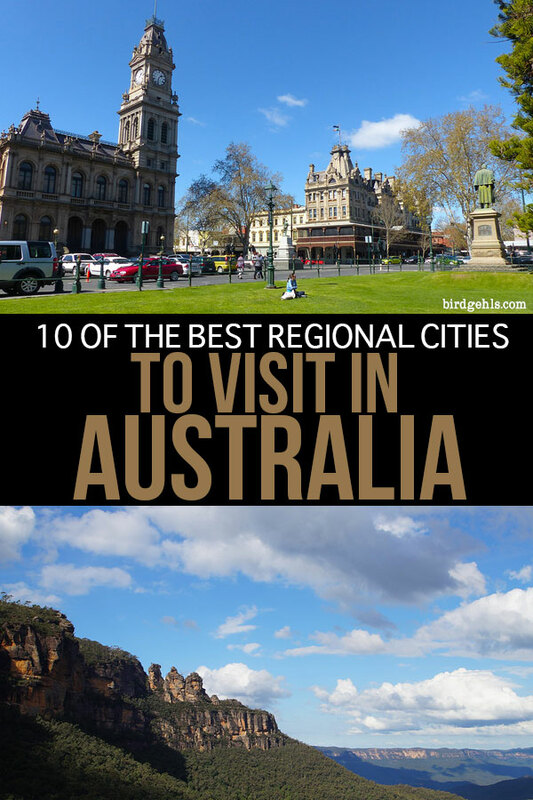 And here are some of the best places to travel to in Australia. I have travelled to most of these great Australian cities and I was actually born and bred in Bendigo, Vic. 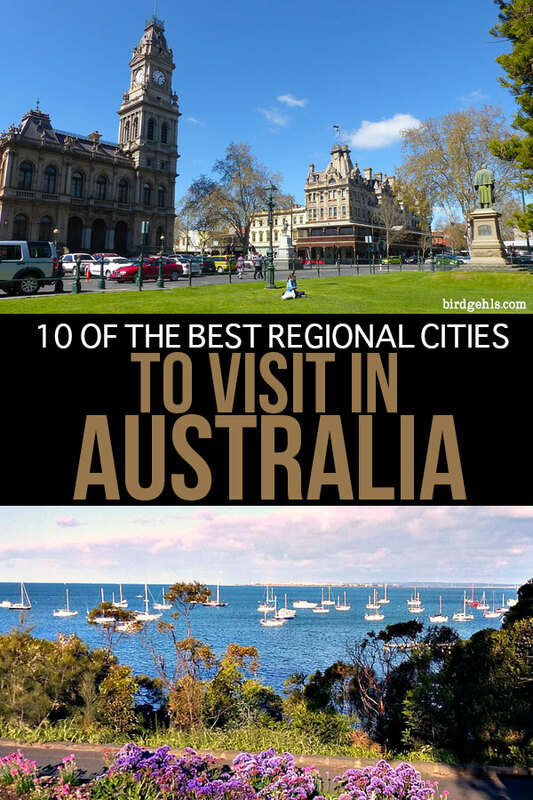 I would have to agree that all of these cities on your list are worthy of a visit, particularly Port Lincoln. Thank you for including me in this great post. Thanks for being a part of it, Kathy! Personally, I’m hitting up Bendigo next month and cannot wait. BRB heading to Albany, and Newcastle and City of the Blue Mountains! Great post as I hadn’t really heard of any of these but they sound exactly like the type of place I’d enjoy. Thanks for sharing! I’ve been to two out of the three and can vouch for the enjoyment factor! Very beautiful places indeed. 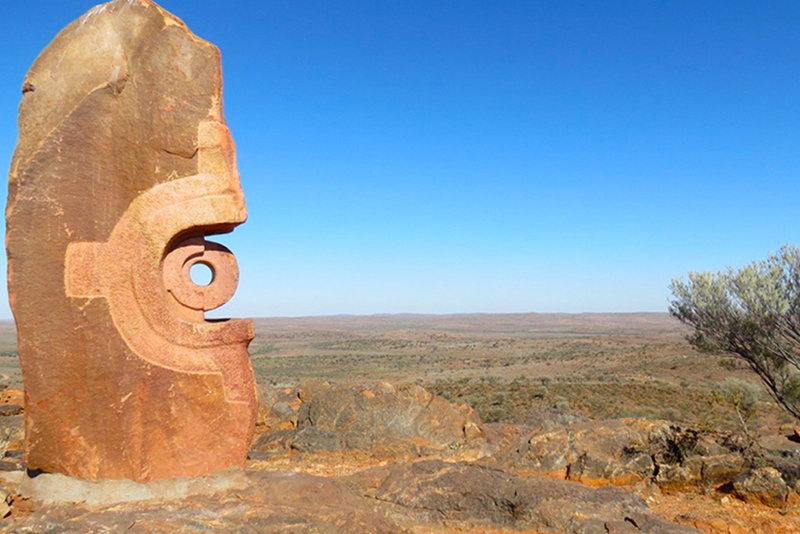 I can vouch for Broken Hill – it’s a fascinating place! I love the Blue Mountains as well, although don’t think I made it to the city itself. I miss Australia so much! 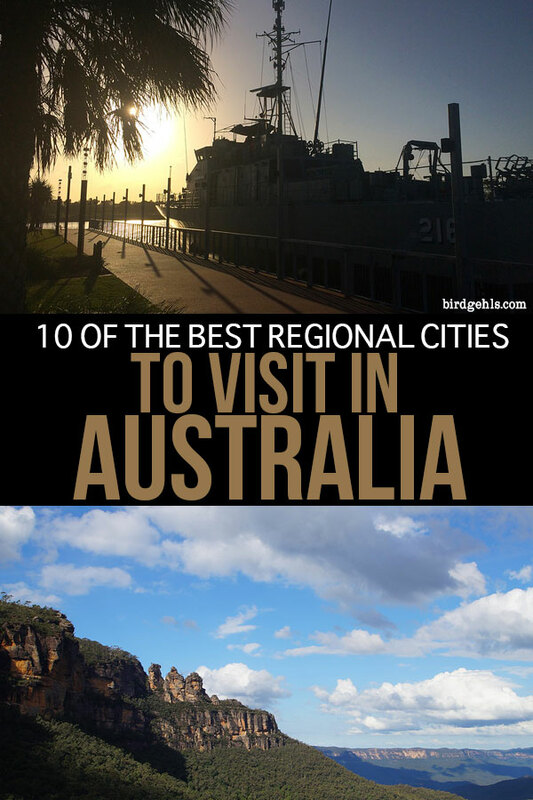 Broken Hill is TOP OF MY LIST, so I am jealous that you have been! I’ve wanted to go there ever since I saw Priscilla, Queen of the Desert as a wee nipper. Crazily, it’s quicker to drive there from Melbourne than Sydney, so it may be on the cards soon. To my understanding, the City of the Blue Mountains is just what the council is called, as it is such a large regional area. So if you’ve stepped foot in Leura, Katoomba or the like then you’ve been! Great list LC! Thanks for sharing this amazing information with us.